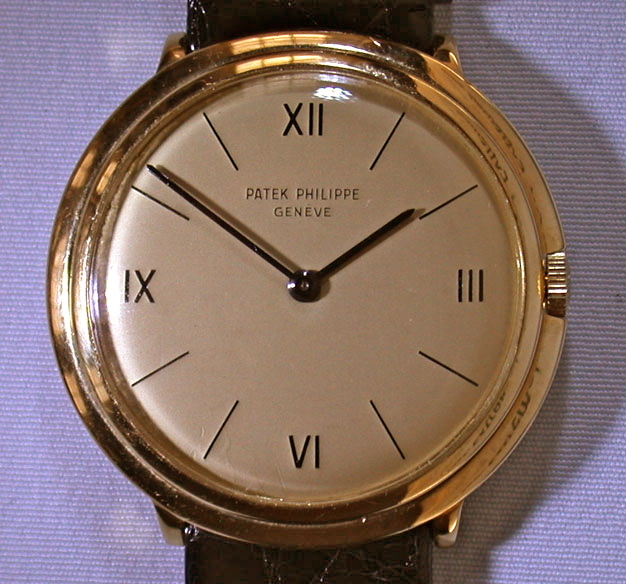 Fine Swiss Patek Philippe 18K gold reference 2501 vintage wrist watch circa 1952. 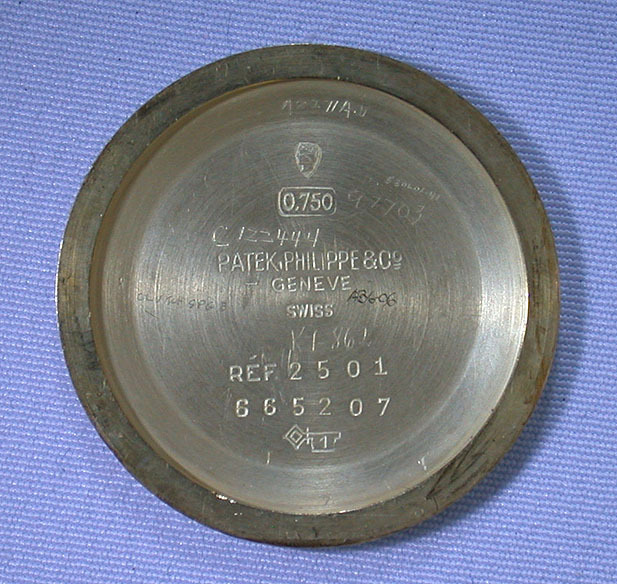 Original silver dial with black markings. 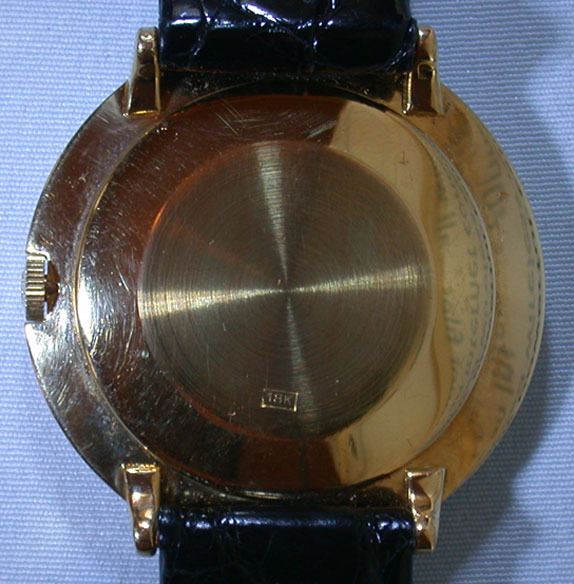 The case with downward sloping partially hidden lugs. 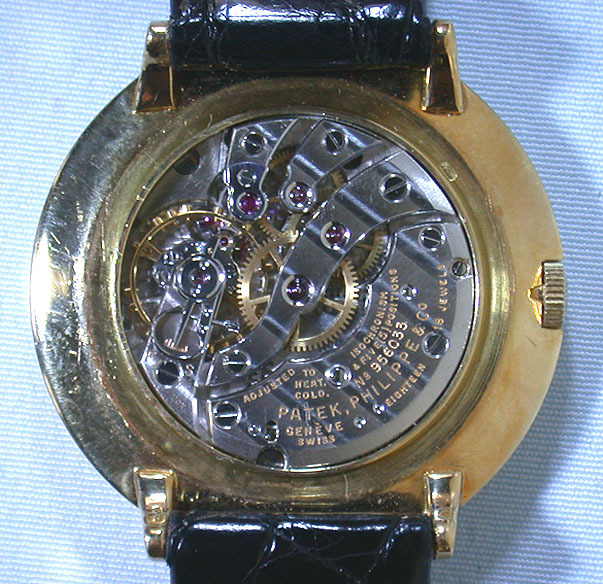 Fine nickel 18 jewel 8 adjustment movement with precision regulator.